Sign up for the 2019 ultimate guide to a city's best in Coffee, Tea & Chocolate. Each business entry will be published on the map guide, and include the information provided. The entry cost is only $15, which will run exactly a year from that city's release of the Guide. Multiple locations do NOT cost any extra to enter, but please include that information. 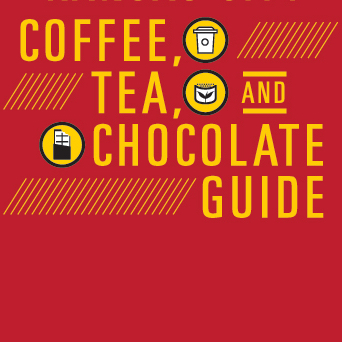 The final Guide for each city will be a digital map PDF and URL link that is free to download for any beverage and chocolate lover in that city, or traveling through. It will initially go out to approximately 5,000 individuals that have attended Caffeine Crawls around the country. In addition, we'll promote it via our social media outlets easily reaching over a quarter of a million coffee, tea, and chocolate lovers. This is NOT a top 5, top 10, rating, or commenting guide. Why are we creating this guide? The purpose is to be a resource for those traveling through, or interested in visiting shops around their city. ​Every week for the last few years we have been approached by an individual who is visiting family in another city, or traveling for business, or an editor of a source covering food and beverage ask us what are the worthy spots in a certain city, or part of town. We've always worked hard to stay impartial, and support all the participating Caffeine Crawl shops. Many are looking for quality, independent places, and this is our goal to avoid distractions of reviews/comments. We hope you find this guide very helpful to your business. The plans for the next version will move to an app form in 2019. Please make sure you finish with the entry cost info below to finish your entry. Cheers! Please provide email used for Caffeine Crawl ticket registration. Enter multiple addresses below free of charge under "Multiple Addresses" window. These will be displayed on the guide by icons. Please fill out multiple addresses in space above, or email Jason Burton directly, if you prefer. Multiple addresses are free of charge. Entries are NOT accepted until payment has gone through. See below to pay for your 2018 entry. Enter your business on the 2019 ultimate guide to a city's best in Coffee, Tea & Chocolate. Each entry will be good a year to date of that city's launch of the Guide. Submit your information on your shop(s) on the form above. This product is for Caffeine Crawl participating shops at the discounted $15 rate. If you haven't been on a Caffeine Crawl and would like to enter please contact us via email.